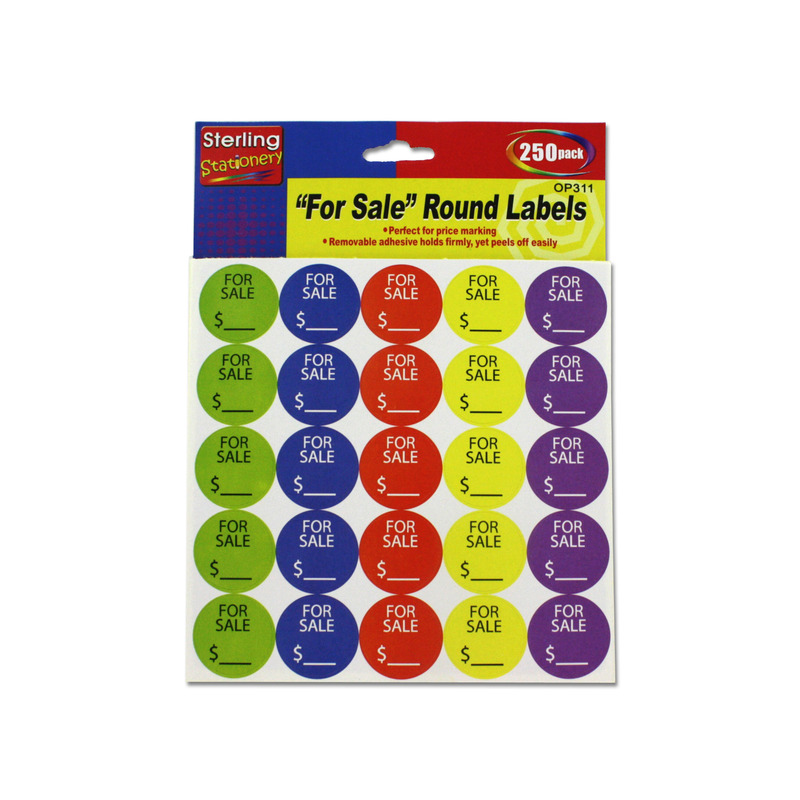 Perfect for price marking at yard sales and in craft booths, this 250-piece "For Sale" Round Sticker Labels Set features colorful stickers with removable adhesive that holds firmly yet peels off easily. Each sheet contains 25 stickers in green, blue, red, yellow and purple. There are 10 sheets of stickers per pack for a total of 250 stickers. Stickers measure approximately 1" in diameter. Comes packaged in a poly bag with a header card.